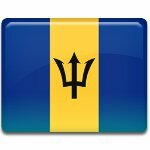 National Heroes Day is a public holiday in Barbados celebrated annually on April 28. It honors the designees of the Order of National Heroes Act that was passed on 1998. Bussa, the leader of the largest slave rebellion in the history of Barbados. Sarah Ann Gill, religious and social leader during the era of slavery who struggled for religious freedom. Samuel Jackman Prescod, journalist, politician, and judge who became the first person of African descent to be elected to the Parliament of Barbados. Charles Duncan O'Neal, founder of the radical Democratic League. Clement Osbourne Payne, pioneer in the trade union movement in the Caribbean colonies. Grantley Herbert Adams, founder of the Barbados Labour Party. Errol Walton Barrow, first Prime Minister of Barbados. Hugh Worrell Springer, founder of the Barbados Worker's Union. Garfield St. Auburn Sobers, renowned cricket player. Frank Leslie Walcott, trade unionist, politician, and diplomat. The first Barbadian National Heroes Day was celebrated on April 28, 1998, to mark the hundredth anniversary of the birth of Sir Grantley Herbert Adams.